This article is sponsored by Bud And Breakfast, the world leader in cannabis vacation rentals with properties in Uruguay, Jamaica, Colorado, Alaska, Washington, Oregon, and many other places. Cannabis hotels, vacation rentals, and rooms can all be listed for free, providing access to the premium cannabis vacation rental market. Bud And Breakfast synchronizes with Lodgix, myallocator, and other property management software for easier calendar management. Through Everbooked, a provider of demand-based price data, guest rates can automatically adjust for higher returns. List your short-term rental accommodations and start earning today! What’s the Appeal of a Cannabis Vacation Rental? Many cannabis-friendly hosts offer guests a twist on the “chocolate left on your pillow” welcome gift by leaving a joint on your pillow, encouraging you to sample a cannabis-infused edible, or offering a “4:20 happy hour” in locations where laws allow for the gifting of marijuana to legal adults (Jamaica, Uruguay, Alaska, Colorado, and other jurisdictions). In fact, because hosts often receive marijuana products from guests who can’t leave the state with their extra inventory, they often “pay it forward” by sharing it with new guests who check in. Talk about a fantastic recycling program! The physical location of the property you’re interested in booking is masked, vaguely indicated only by a large blue colored circle superimposed on the map that provides a general location of the property. Guests are only informed of the host’s address after the purchase is complete, meaning your tranquil getaway stays discreet. Here are five beautiful and diverse marijuana vacation destinations that each offer an opportunity to get away from it all without forcing you to take a break from your cannabis. Whether you’re looking to splurge on a beautiful retreat or you’re looking for a budget-friendly getaway, you’ll be staying in style and absolute comfort in the most cannabis-friendly locations. Brush off your passport and pack your sunblock for these gorgeous international locations that offer both culture and cannabis! Uruguay legalized the use and possession of cannabis in 2014 and legal cannabis cultivation is thriving now, so what better vacation destination than the only country that’s fully legalized recreational marijuana? Casa Stefano is just steps from Oceania del Polonio and offers a sweeping view of the sea. The rental offers a rustic Italian design and elegant amenities, featuring two bedrooms, two bathrooms, a living room, and kitchen along with a fireplace and a gorgeous, spacious deck. It’s a perfect setting for watching the day fade into the sunset with a joint in one hand and your partner’s hand in the other. For a cost-effective South American adventure, Montevideo is the place for you. With an artsy, boho vibe and a calm quaintness that separates it from the hustle and bustle of more populated cities, Casa Sarandi is an apartment-style setup is in the heart of the city. This rental is located within easy walking distance to galleries, museums, and nightlife, and is just a short bus ride to two white sandy beaches. The cost per night is a bargain and comes with a glowing recommendation from this happy visitor. How can you pass up a fantastic retreat in a country that holds ganja so near and dear to its heart? Get in touch with local Rasta culture, visit beautiful beaches, enjoy the local cuisine, and experience all that the beautiful island country of Jamaica has to offer. Windfall Villas is a breathtaking estate mere steps from Montego Bay, with a private pool and several outdoor covered sitting areas. This tropical paradise is as authentic as it is fun – you can take a bamboo raft ride down the river just as easily as you can taste fresh fish caught from the ocean in front of you. Then maybe play a little ping-pong, try your hand at snorkeling, or just sit back and watch the ships come in. The price is right for this gorgeous Jamaican apartment. It’s one of the few spots where high-grade, locally-sourced cannabis is provided for your enjoyment, along with a tasty breakfast and transportation to the local beach that’s just moments away along Montego Bay. This rental is a great option for adventurers who want to feel like an authentic Jamaican and enjoy mingling with locals. Awaken to the sound of birds chirping your arrival and then relax with your coffee or cannabis in the garden before you take on the day, whether it’s sunbathing on the beach, exploring the city, or taking in the local culture. Looking to stay in the U.S.? No problem! These states offer diverse vacation packages without you having to fuss with a currency exhange. Since Alaska voted to legalize recreational cannabis last fall, the rugged outdoors have never seemed more appealing. Get in touch with your nature-friendly side as you explore the gorgeous wilderness and breathtaking landscapes of nature’s playground. 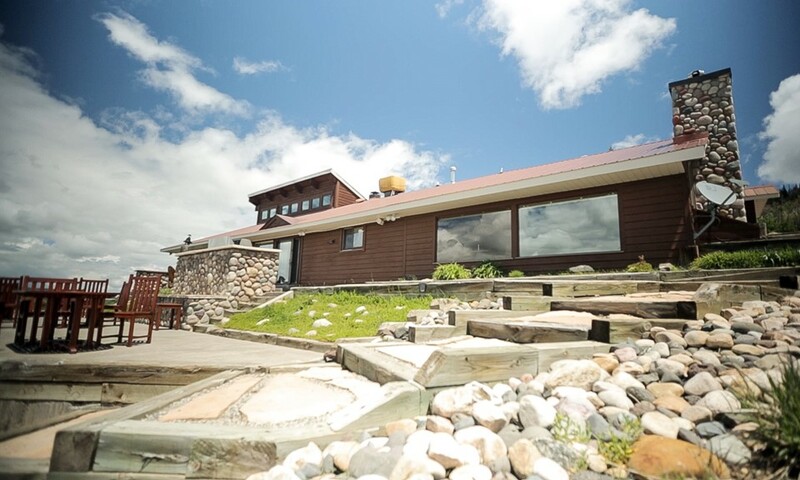 At Bear Creek Lodge, you’ll be treated to fine dining with a supreme nightly five-course meal in the Dinner House, included in the cost of the cabin rental. If you’re lucky, you might just get treated to dinner and a show — the local mamma moose and her two baby calves love to play in the pond during dinner service. This rental is located in Hope, Alaska, on the Kenai Peninsula, which means that fishing, hiking, kayaking, and whitewater rafting are just a few of the many exciting outdoor activities available. 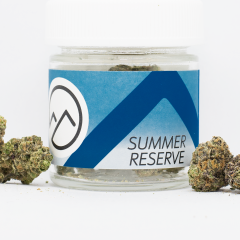 During your evenings, enjoy the quality local strain Hope Dope while surrounded by 1.3 million acres of the Chugach National Forest as cannabis and music mingle by the fireside long into the night. A family-friendly, discreet option, this is an ideal location for those seeking to relax with the whole family. Dreamin’ in Alaska is also located in Kenai, but don’t be fooled by the scandalously low price tag. This destination is vast and spacious, with room for a whole brood of friends and family to run around and enjoy nature. Amenities include a divine kitchen for cooking up a storm, a spacious living room, a fireplace, and ample parking. The outdoor fire pit completes the experience – you’ll be laughing with your friends while passing a joint around the fire before the night is over. The state that kicked off a legalization domino effect should not be overlooked if you’re planning a canna-friendly getaway. With beautiful mountains and numerous outdoor activities, Colorado has plenty to offer in addition to its quality cannabis. 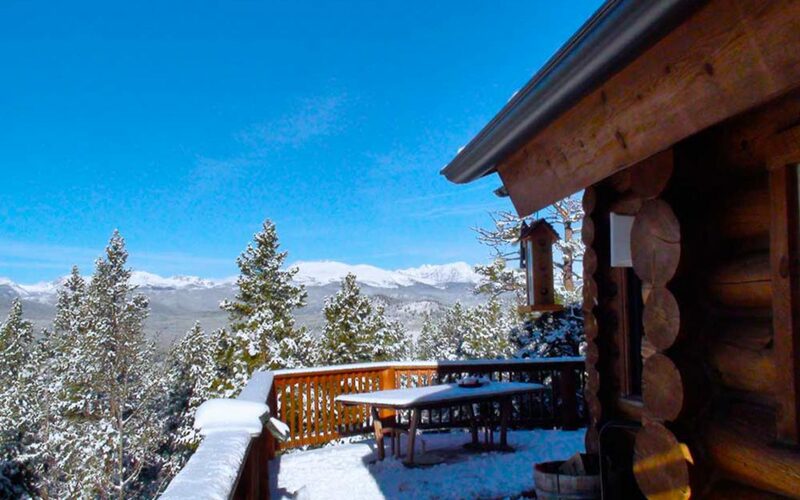 Stunning views of the Rocky Mountains highlight the spectacular Blue Sky Ranch in Black Hawk, Colorado. This luxurious vacation spot is pet-friendly and contains its own home theater, gaming system, and jacuzzi to melt away those winter blues. Nature loving cannabis enthusiasts are treated to a weed-friendly environment: you may smoke outside at any time or vape within the house if you prefer getting toasty next to a roaring fire. Looking for a serene environment with knowledgeable hosts? Then Denver’s Best Buds and Breakfast is the spot for you! Your hosts here will not only provide a vaporizer for use onsite, but also offer lessons in cannabis cooking as well a vast knowledge of local strains. If you’re a fan of edibles, you’ll be in seventh heaven here! This sweet little bed-and-breakfast style lodging offers a sunny back porch with a view of the Rocky Mountains. With such a reasonable price tag, it’s a much more pleasant alternative to many hotels in the city. With ocean coasts, rainforests, desert terrain, mountain trails, dense trees, and deep valleys, Washington state is one of the most diverse destinations in the country. No matter your vacation preference, you’ll find it here along with a fine selection of cannabis products. Sonshine House offers a quiet, farm setting just outside of Olympia on a real cannabis farm and is a great value for guests. The hosts here also organize a weekly farmer’s market downtown, which will give you an insider’s look at the cannabis community on a local level. This rental is a particularly great option for those with a large group, as there’s a fantastic lounge sitting area for cannabis consumption as well as plenty of space to wander on the grounds for a little canna-stroll. In the Lincoln neighborhood of Vancouver and just 15 minutes to downtown Portland, Oregon, Green Friendly offers a modern, spacious studio with a private patio and fire pit for enjoying your cannabis in style. The accommodations here can be as luxurious as you want, so make sure to let your host know if you’re interested in any of the many offerings: access to a washer/dryer, fireplace, BBQ, even a pool to relax in! Pet owners take note – this little treasure is also dog-friendly (with permission from the hosts, of course). Are you ready to secure a cannabis hotel or vacation rental? This list gives you the scoop on some of the best legal cannabis travel options you could possibly imagine. Don’t hesitate to book your own fabulous cannabis vacation today! Bud and Breakfast is the world leader in cannabis vacation rentals with properties in Uruguay, Jamaica, Colorado, Alaska, Washington, Oregon, and many other places. Cannabis hotels, vacation rentals, and rooms can all be listed for free, providing access to the premium cannabis vacation rental market. Bud And Breakfast synchronizes with Lodgix, myallocator, and other property management software for easier calendar management. Through Everbooked, a provider of demand-based price data, guest rates can automatically adjust for higher returns. List your short-term rental accommodations and start earning today!